Hello all! Time for a brand new challenge at All That Scraps! This time we want GLITTER!!! a little or alot... as long as there's some sparkle! 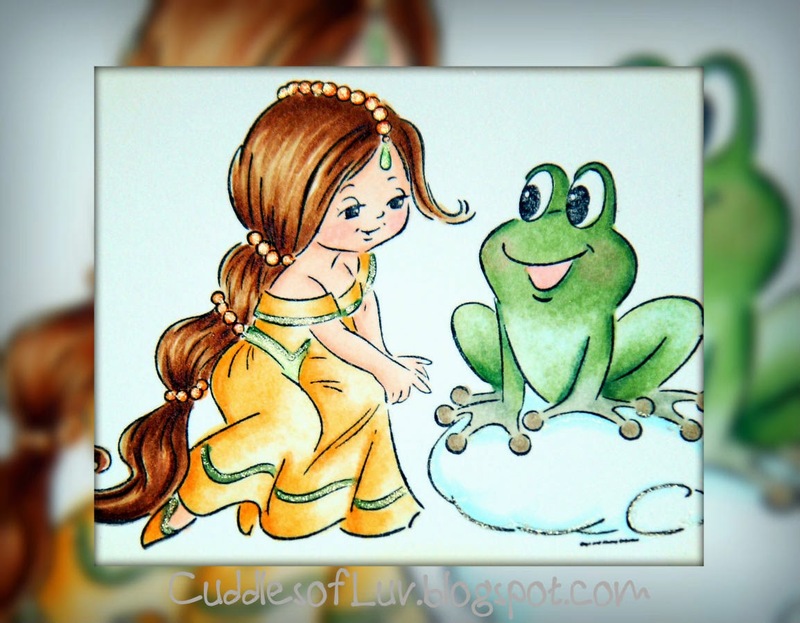 The Drozy's Darlings collection have some adorable images, and this one is Princess and the Frog... right out of a fairy tale story! It's part of the new June release, so it will be in the store on Thursday, June 4th. Used a CAS layout, and my glitter is just a touch this time around. You can see it more if you click on the pic for a close-up or in the small pic at the end of the post. Please stop by the ATS Challenge blog for all the team's inspiration, and don't forget to check out the rules so that you can be eligible for the awesome prize! very pretty! love the layout too!